It is absolutely awesome! 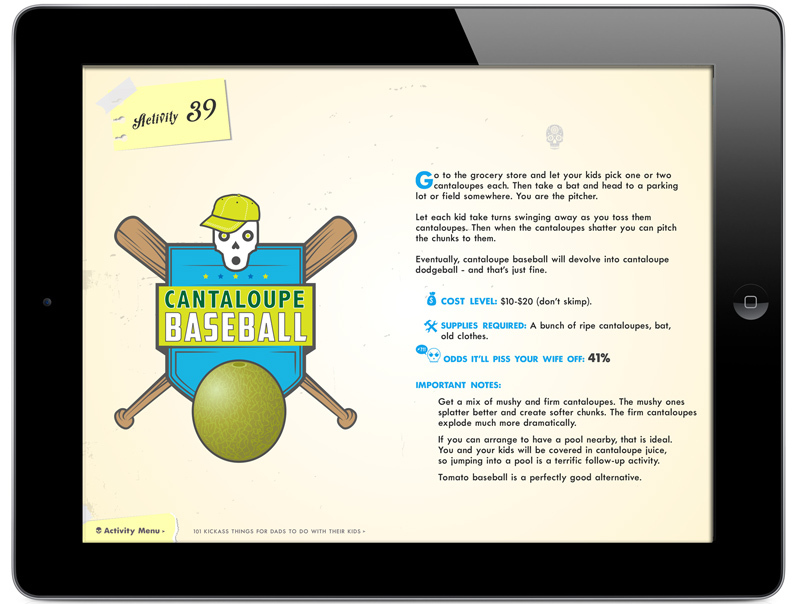 I promise if you are a dad (or buying it for a dad) it is the best $2.99 you’ll ever spend. 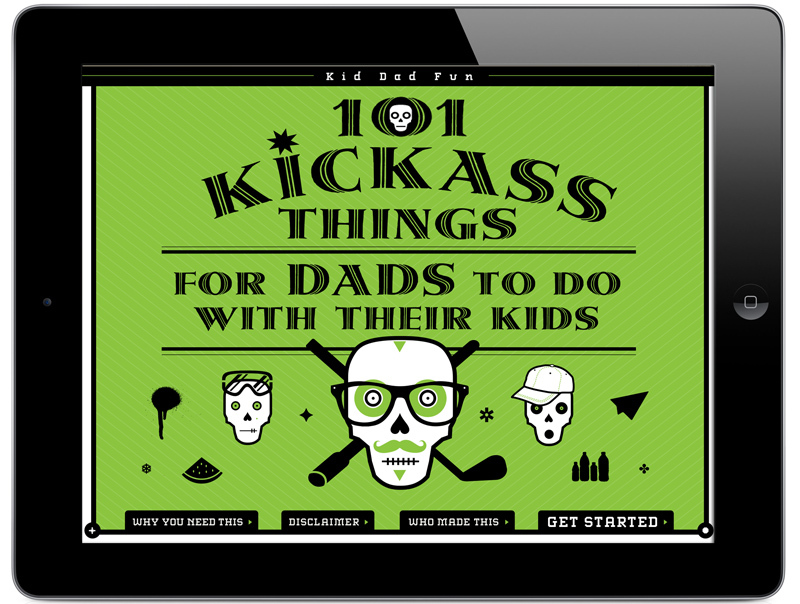 It lets you choose from “101 Kickass Things for Dads to do with Their Kids.” It’s full of easy, cheap ways to turn a lazy afternoon into a day the kids will talk about for years. 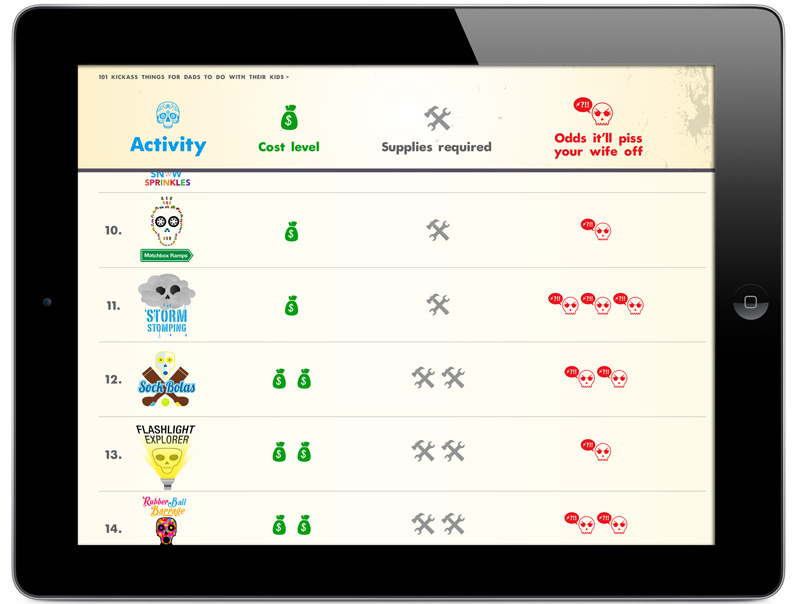 Each activity is rated by gear required, cost, and odds it will piss your wife off (warning: some are quite high). Kids and dads will have a blast just sorting through their options. 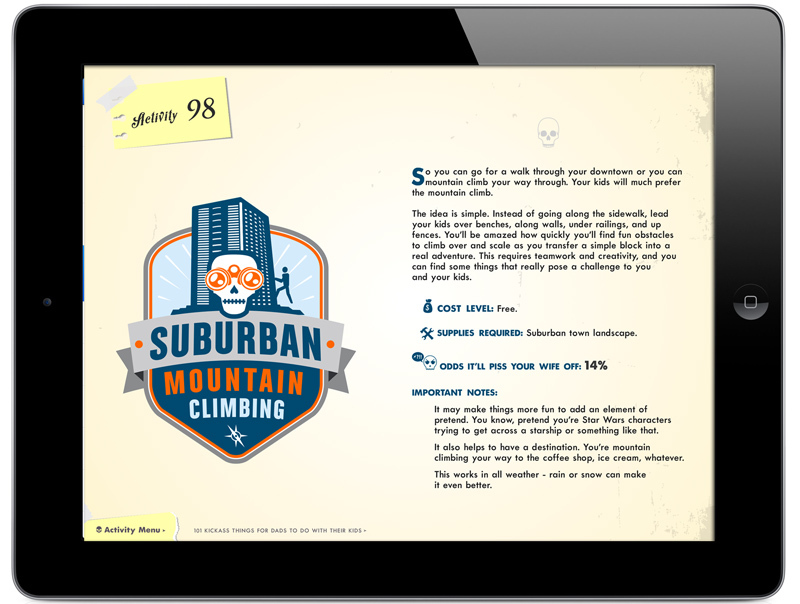 From Suburban Mountain Climbing to Human Whack-A-Mole to Pancake Art, this app makes filling the hours a touch away. We’re going to do a big push for Father’s Day – and that’s where we need your help. The App Store puts the apps with lots of reviews and ratings at the top. So those apps get the most downloads and the most ratings…it’s a cycle. Right now if you search “Father’s Day” of “Dad” on the App Store, you get a bunch of strange stuff. And we want to be #1 on that list. We figure we need 150 reviews and 5-star ratings. The menu, where each item is rated by cost, gear required, and odds it will piss off your wife. A few of the screens to give you an idea of the artwork. I hope I’m first. It looks fantastic, Mike. You should be so PROUD! I love it! I do believe you are first! thanks so much, MAry! Fabulous!! I have tomorrow morning free and will try my best to get the word out! Lots of love and lots of luck on this project. It looks terrific!